Your business network doesn't need to be a thorn in your side. Xpert Technology Solutions has years of experience working with many small businesses in the Raleigh and Cary area supporting their networks. We service all types of businesses from Medical, Dental, Legal and more! Whether your are running a complex Windows 2008 server with Active Directory, or a simple workgroup with a few computers, our technicians know how to manage and maintain your computer system so you can focus your efforts at running your business. No business is too small for us to service and get the attention that you deserve. eClinical Works, Centricty, NextGen, AllScripts, Patterson Eaglesoft and Dentrix. We work with them all on a daily basis. Many of our customers are Doctors offices as well as Dental offices. We are well versed in HIPAA computer security and compliance and can help your practice maintain your network and protect your patient data. Traditionally Managed Services were geared toward large companies with a big budget. This is no longer the case. Xpert Technology Solutions can tailor a Managed Services plan that puts your computer network in the forefront with 24x7 monitoring and preventative maintenance. You can get on our managed services plan for about what you are paying now for AntiVirus alone. Oh...and AntiVirus is included with our Managed Services plans. Computer support is our speciality. We ensure your network is running at top performance leaving you time to focus on your business. Expanding your small business? Adding an additional office? Opening up a new location? 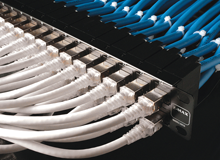 We can handle all your data and voice wiring needs. 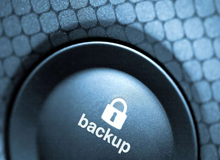 Most businesses don't realize how important a backup is until they lose their data. We offer a fully managed backup service. Our team of certified computer support specialists are available for your small business in Raleigh and the surrounding areas. Xpert Technology has been offering computer and network support for over 7 years. We are based out of Raleigh, NC and serve many businesses in the area. When beginning a relationship with a new client we believe that relationship is one that will last a very long time. We are not looking to work with a company to make a "quick buck" and never call again. We pride ourselves with our distinct ability to be very personable with people and talk to them about technology in a way that they can understand. We don't speak "Geek Speak" and try to make you feel inferior. Over the past 7 years we have never had a client that has left us due to us not performing to their expectations. We make sure that every client is 100% informed and happy with every bit of service that we perform. If you would like to give us a try and are in need of someone to help support your computer system and network please give us a call and we would be happy to have a conversation with you in regards to your technology needs. Need a reference? We have a ton! 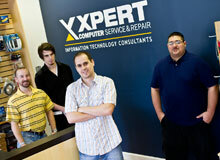 Xpert Tech is the most thorough and knowledgeable IT support company in Raleigh, NC. Great guys to work with!